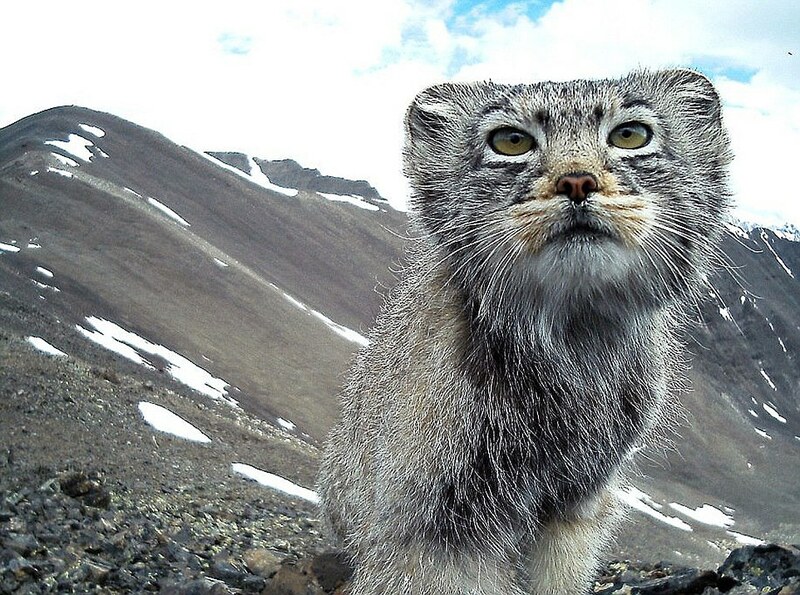 Native to remote regions of southern Siberia, as well as Central Asia and China, they are seldom seen, and known for their reclusive and solitary lives. 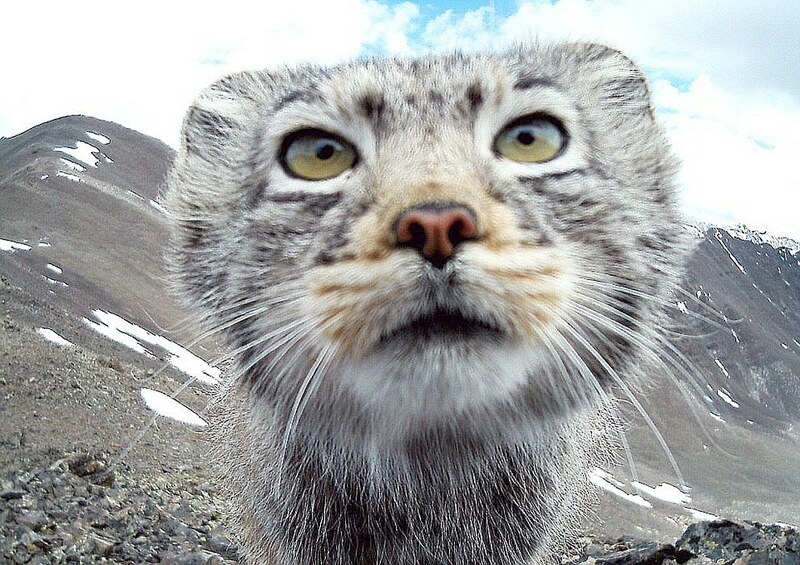 'They are secretive and do not like to be seen, making these images rather special,' reported The Siberian Times. 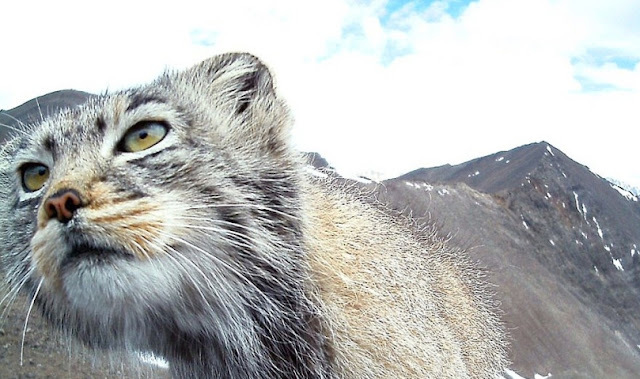 This cat was caught on camera a whisker away from an animal camera trap as it surveyed the scene in the Altai Nature Reserve in mountainous southern Siberia. 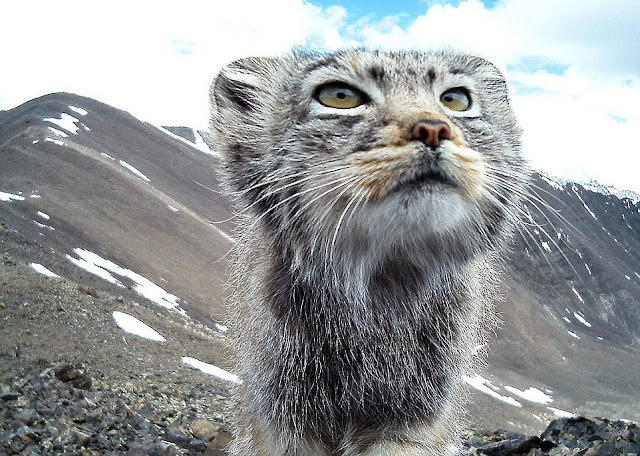 The short-clawed, cave-dwelling wildcat is listed in the Red Book of the Russian Federation and the Red List of the International Union for Conservation of Nature where it has the status of 'near threatened'. 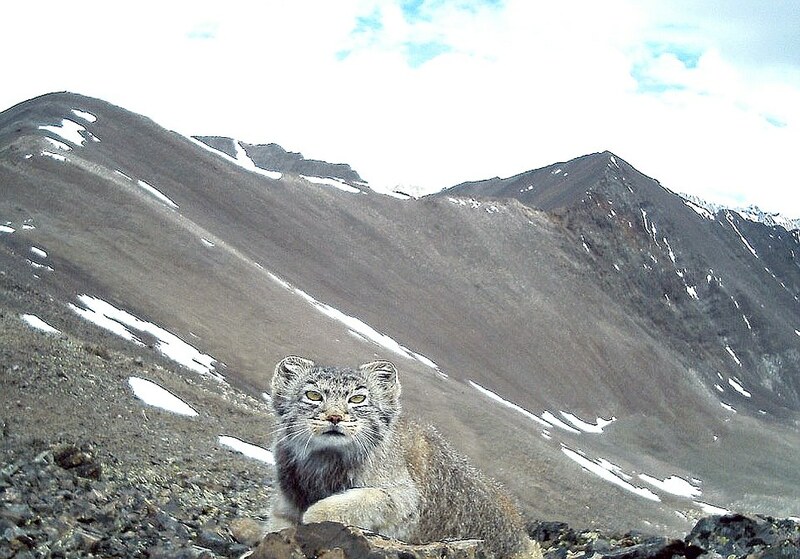 'The measures that are applied to poachers now are not strict enough', warned Vladimir Krever, WWF coordinator on biological development. The wildcat - related millions of years ago to the leopard and also known as a Manul cat. 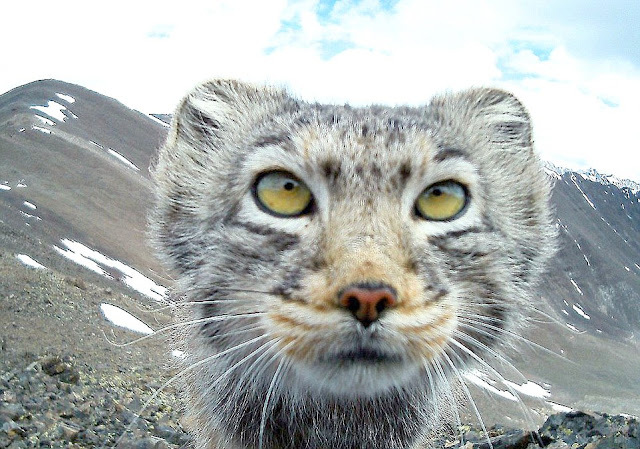 Responses to "Rare images show endangered Pallas's wildcat making adorable facial expressions"